Join club vice-president Jeff Clay as he presents his latest Photoshop and Lightroom (LR) Plugin Roundup. It’s been 8 years since his last plug-in presentation and things have greatly changed for the better! Jeff will cover a number of plug-ins, LR pre-sets and PS Actions that are available online. He’ll cover processes such as HDR, Sharpening, Noise Reduction, Spot Adjustments, Black & White Conversion, as well as Artistic and Special Effects Treatments. Publishers covered will include DXO Nik, Topaz Studios, Photomatix, Alien Skin, Seim, Tony Kuyper and others. Where possible, he will be applying the processes live via his laptop. Whilst it is true that you don’t need anything beyond Photoshop or Lightroom (or both), Jeff will clearly demonstrate the process benefits, time shortcuts and improved final image quality that using these selected plug-ins, pre-sets and actions can provide! Are you ready for another photographic adventure? Join your fellow WCC'ers as we head back to the Palouse! The Palouse is an area located in southeastern Washington near Pullman. It's an agricultural community that comes alive with rolling hills of wheat, barley, lentils, and canola, and winding country roads punctuated with old barns, windmills, and silos. The varied stages of emerging crops create a colorful and undulating patchwork. This trip will be based out of Pullman, WA, which is a day's drive (10.5 hours) or a short flight. There will be endless photographic opportunity, limited only by your creativity! The Wasatch Camera Club is happy to offer a customizable series of classes to help you learn, or brush up on the rich features that lurk inside Lightroom. Taught by long-time club supporter and Lightroom wizard, Randy Collier, this series of classes are offered both as a full series of three or mix and match to meet your needs. Included will be all the latest updates for Lightroom Classic CC. Note: this is the version normally used on desktops and laptops. Other Lightroom products are used on phones and tablets. Note: class sizes will be limited so register soon. Here are the per class details. You can select all, one, or two, OR all. Attendees must have at least some exposure experience with Lightroom Classic CC. Laptops are welcome, but so are note takers. You will need to have updated your Lightroom program to 7.4 or higher if available. Bring some sample images you may wish to work on. It’s time to celebrate 25 years of Wasatch Camera Club. Reminisce the past years and look forward to the future of your Club. Meet new friends and catch up with old friends. It’s time to share stories and photos. How can you make thi a better event? Show up and share. Send in up to 10 images that will be used in a slide show. These images can be of people and places from past Camera Club events, favorite places you have been or stories that you would like to share. If you think it’s interesting, we will too. Join long-time club member, Jeff Clay as he re-lives via photographs and stories his 2016 trip to the far northwest corner of India: the once forbidden Buddhist kingdom of Ladakh and the now often-curfewed, politically-fraught but beautiful land called Kashmir. Travel with Jeff along the fabled Silk Road, visit ancient Buddhist monasteries, have butter tea with nomadic families, taste the baking naan as it comes straight out of its tandoor oven, share sunrise with prayer flags and stray dogs, experience the trance of a Tibetan sorceress, shop in the floating market of fabled Srinagar, laugh with a pashmina shepherdess and her flock, gasp with him at 18,000 feet, thrill with an angry crowd beating on your taxi window … this and more Jeff will recount both with photographs and in words. Jeff Clay is the club’s Vice President and our Exhibits Director. His exceptional photography skills will be on full display in this presentation. Don’t miss it. 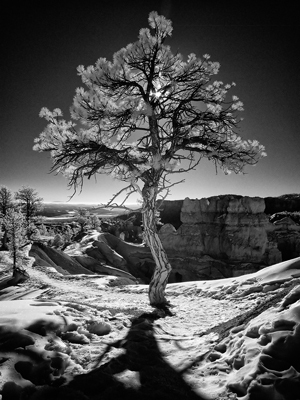 Su bmissions will soon open for the Lovely As A Tree photography exhibition at Red Butte Garden. It's a great opportunity to put your best three images forward. Not to mention the possibility of selling one of your works. The upcoming exhibit images will feature trees, trees and well you get the picture! To get full details and submit your images see the 2019 Exhibits Program page on the club's website. The Lovely as a Tree exhibit will run from March 15 to April 7. Even if you're not a regular Photoshop user, this special workshop will show you ways to create stronger images using it. And if you're a regular user you may learn some new ways to improve your workflow, or refresh your current approach. Our presenter is Vladimir Chopine, a professional photographer and digital artist from the Salt Lake City area. For many years, he has produced award-winning digital landscapes that use real landscapes that are combined in the digital environment using Photoshop and Lightroom. 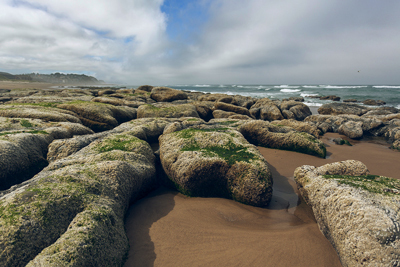 His landscape photos are used by many studios and agencies in their productions. He will share his skills on how to take landscape photos and what equipment to use for best results. He will also show you how to post-process after capture so your images will stand out from the crowd. This is the perfect time of year to learn and hone your post processing skills. Bring a notepad or a laptop so you can make the most of this in-depth workshop.